Developed for both iPhone and Android, Cl.ickable dealt with visual mapping, providing powerful tools for identifying businesses the user loved. 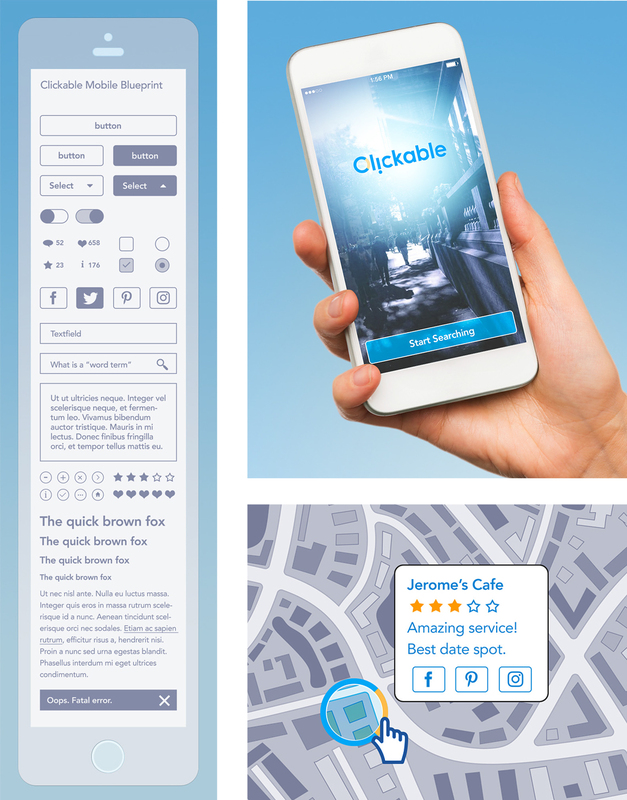 I created the user experience and visual design for the app – where a user could map a location, highlight points of interest, enter reviews, and share them immediately on social media. In the end, the project was not taken to market.